Why not try letting your child be the teacher the next time you read a picture book or any book. 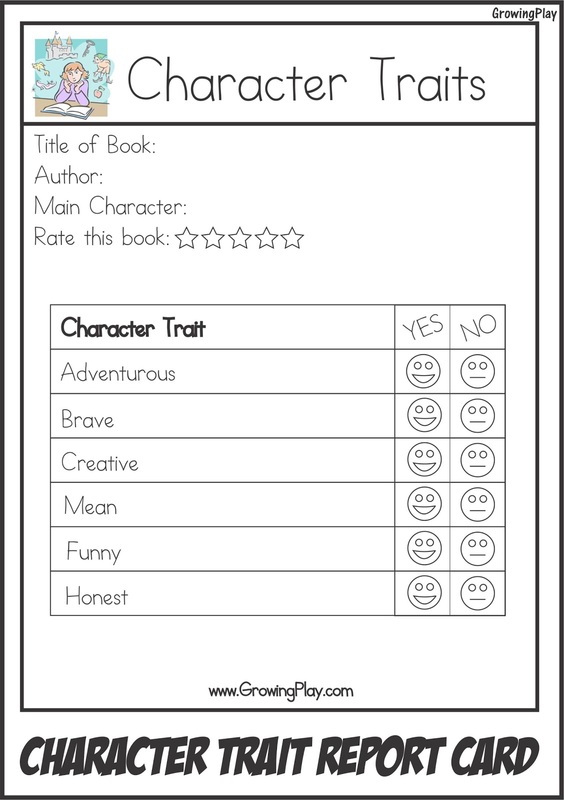 Download this character trait report card and complete it after reading a story. 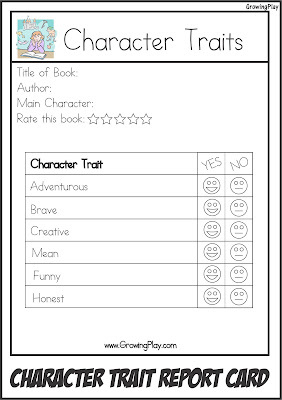 You could also take the time to relate it to your child's life by discussing important character trait or people you know who display excellent character traits. If your child likes pretending to be the teacher check out the Pretend Play School Packet. Visit www.GrowingPlay.com for more play ideas and publications. The GROWING PLAY blog offers simple, at home activities and tips to help children and families grow through play. Quality family time needs to be nurtured to grow stronger. One of the best ways to do this are family game nights! 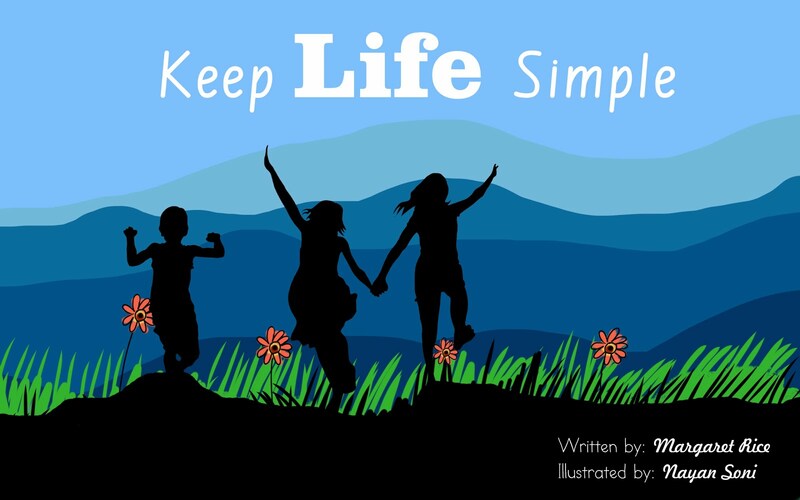 KEEP LIFE SIMPLE reminds parents and children to slow down and enjoy the simple pleasures in life such as swinging, hiking, baking, reading and more. The rhyming text is easy to read and creates happy childhood memories.